These are a set of windsavers for all top and bottom plates. Simply pull off the windsaver you need from the set. For the gule look under "repair tools". 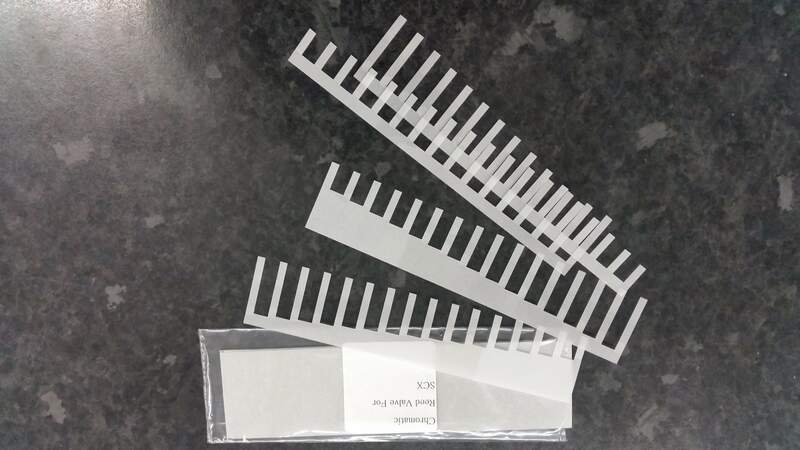 A tip is that the spine of this set can be cut into various lengths to suit your longer reeds so this makes a great spare set for any chromatic harp. * Based on residence in United Kingdom. Tax rates for other countries will be calculated at the checkout. Price exclusive of tax: £18.00.